Grecotel Amirandes Exclusive Resort, Irakleio. How the vision of two brothers led to the rise and rise of Greece’s hotel market leader. The story of Greece’s largest hospitality enterprise began in Rethymno back in the mid-1970s, a time when many Cretans were abandoning their homeland in search of better fortunes elsewhere. Going against the tide, brothers Nikos and Takis Daskalantonakis, anticipating the prospects of the local area, and inspired by their love for their place of origin, and also by the Rethymniot hospitality as taught to them by their mother, envisioned a Crete that would evolve into a global destination. Thus, they decided to stay put. Taking a risk – but with their vision acting as their guide – they made the leap from olive oil processing to tourism, initially participating in the Rethymniot consortium behind the construction of the El Greco hotel. In parallel, they established their own hotel, Rithymna Beach, one of largest resorts on Crete, which ultimately provided them with the impetus to found Grecotel in 1981, in cooperation with tourism giant TUI. 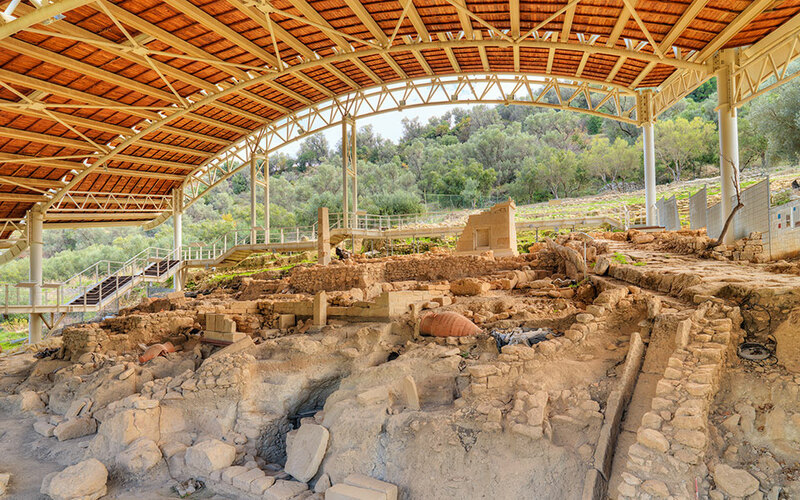 The archaeological site of Eleutherna still has many secrets to reveal. Almost four decades later, the Grecotel Hotels & Resorts Group stands as the undisputed Greek hotel market leader, with 32 luxury resorts throughout Greece, 12,500 beds, 3 thalassotherapy centers, 200 restaurants, 10 conference centers and thousands of international awards and accolades for the quality of its services and its contribution to the upgrading of the Greek tourism product. At the same time, it also serves as the sector’s single largest employer, with 6,100 staff, 80% of whom are Greek. This year alone, the group has invested more than 42 million euros in the extensive renovation of five of its resorts, thus creating 630 new jobs. And in the near future it will proceed with the upgrading of additional properties, which, of course, will lead to the creation of even more jobs. 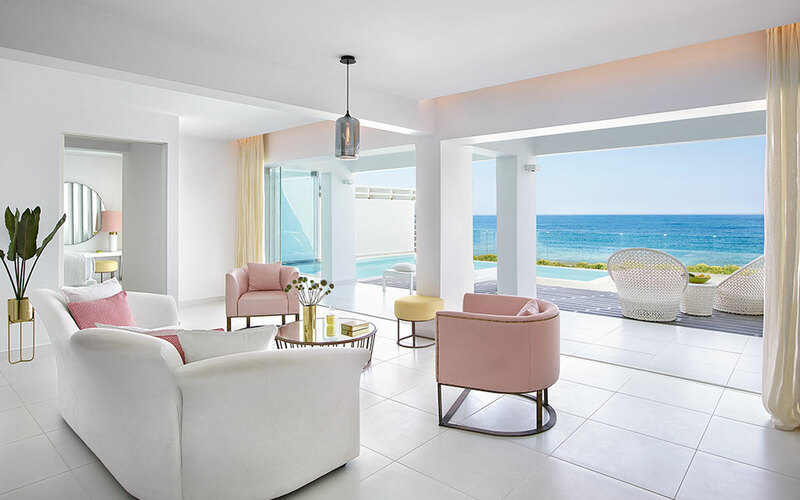 Grecotel Lux Me White Palace, Rethymno. Grecotel Creta Palace Luxury Hotel & Resort, Rethymno. 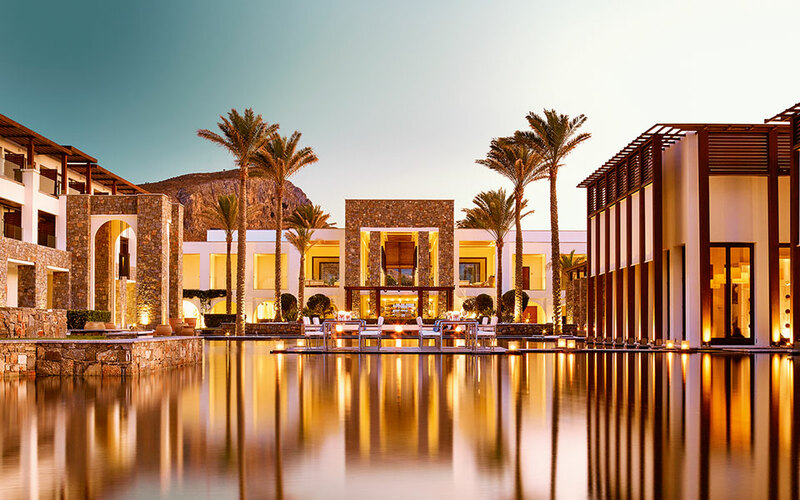 And though one might expect that a huge company like this would have lost touch with the vision of its founders and with its roots, Grecotel continues to be inextricably linked to its homeland and its people, its traditions and its products. 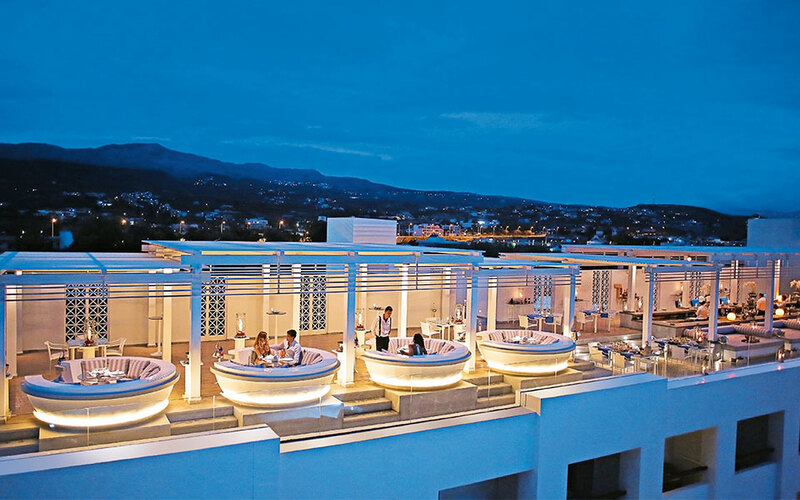 “From the local ingredients used at the restaurants to the themed nights that recapture scenes from bygone days, Grecotel resorts are associated with Crete and Cretan culture,” notes Grecotel General Manager Vassilis Minadakis. Moreover, at AgrecoFarms – the innovative model farm cultivating organic crops that was created in Rethymno in 2002 – Cretan traditions are transformed into a living experience. Visitors gain first-hand insight into age-old practices, such as sheep-shearing, grape harvesting and grape stomping, all of which bring them closer to Cretan tradition. 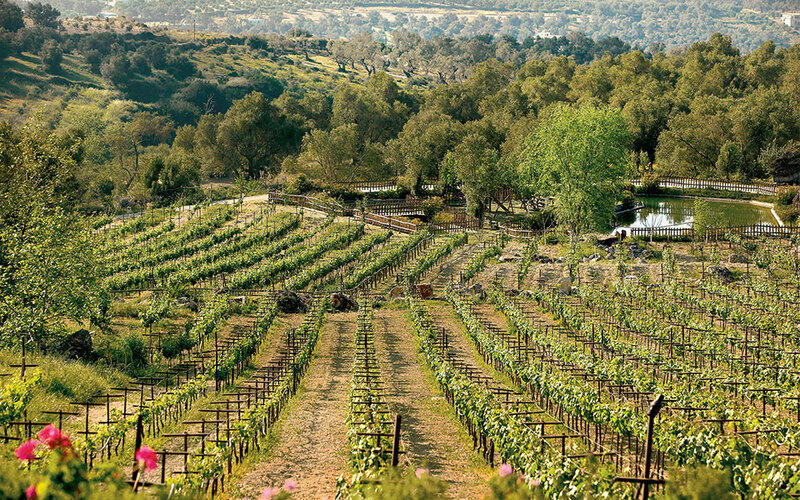 AgrecoFarms’ vineyards and olive groves are a soothing sight. Grecotel continues also to be synonymous with the Cretan hospitality that so inspired its founders. In fact, employees take it upon themselves to make hotel guests feel at home, by showing them around town, taking them to local events and treating them like friends. As for Nikos Daskalantonakis’ love for his native place, it has remained undiminished. Tangible proof of this is the recent establishment of the Nikos Daskalantonakis Foundation (NDF), a not-for-profit philanthropic and cultural foundation, which will support cultural projects and activities, beginning with the attempt to help the archaeological site of Eleutherna in Rethymno gain recognition and become an international cultural destination. The NDF will also award scholarships to young people to help them advance their studies unhindered. “Some people refer to ‘giving’ as a ‘social obligation.’ To me, it is a sacred duty towards those heading to tomorrow,” Daskalantonakis has said.